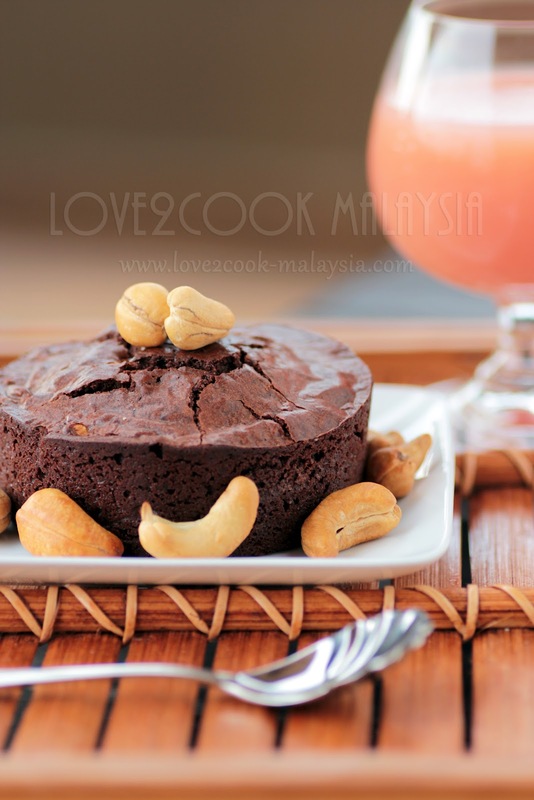 ♥ LOVE2COOK MALAYSIA♥: Nutella Cashew Brownies & GA Goodie Boxes! 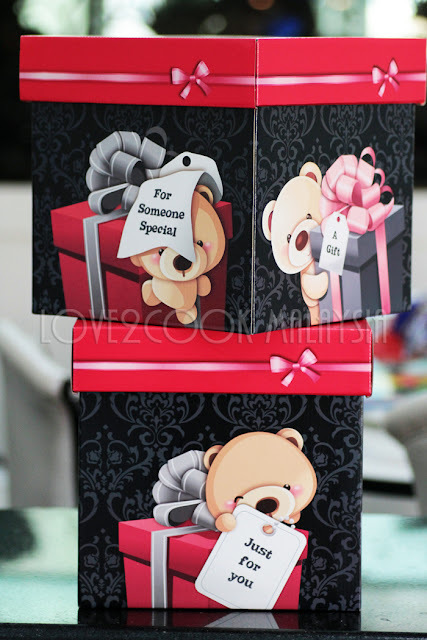 Nutella Cashew Brownies & GA Goodie Boxes! Before I move on with my recipe today, let me thank each and every of you for commenting on my latest header. It's really nice to read compliments every time I sign in...haha! Our treat over the weekend, brownies and guava juice. My kids enjoyed the evening..why not, it has their favourite Nutella in it. They remained silent and gave their verdict only after the last spoon. Owh, I was truly fascinated but didn't plan to interrupt by clicking their joyful acts. Was admiring them as they indulged into their brownie world...lol! Me : Rishie, so how is the brownie, do you like it? Rishie : Very tasty Ma! I like..(pointing his thumbs up). Me : Ashika, what about you, you liked the brownie? Ashika : Ashika want somemore!!! And, like I said before...I prefer brownies more than cakes. For a twist, I bake them in individual ramekins...bored of having squared brownies. These would have been perfect with a scoop of vanilla ice cream...yumm! Mix all purpose flour and baking powder together. Place dark chocolate, butter and sugar in a bowl. Using double boiler method, melt these 3 ingredients. Add eggs to the chocolate mixture and whisk even. Stir in vanilla and Nutella. Fold in the flour. Finally add in the roasted cashew nuts. Mix the batter. Pour batter in a greased and lined rectangular cake tin and bake for 30-35 minutes until done. By the way, the goodies for my GA winners are ready! Sending them off today. 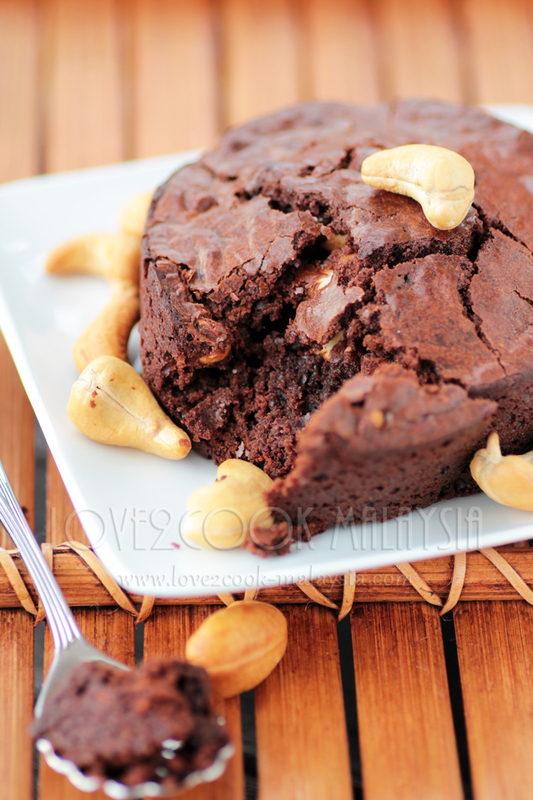 Hem...tentu sedap bronies tu kan LOVE...lagi2 ada nutella..mantap la..
Love this recipe. The photos are also very beautiful and classy. I like the round shape brownies cos its usually square. Love you new header too, your sweetheart are so cute. hi love.. lama i tak bakar brownies... your bronies nampak sgt sedapp.. 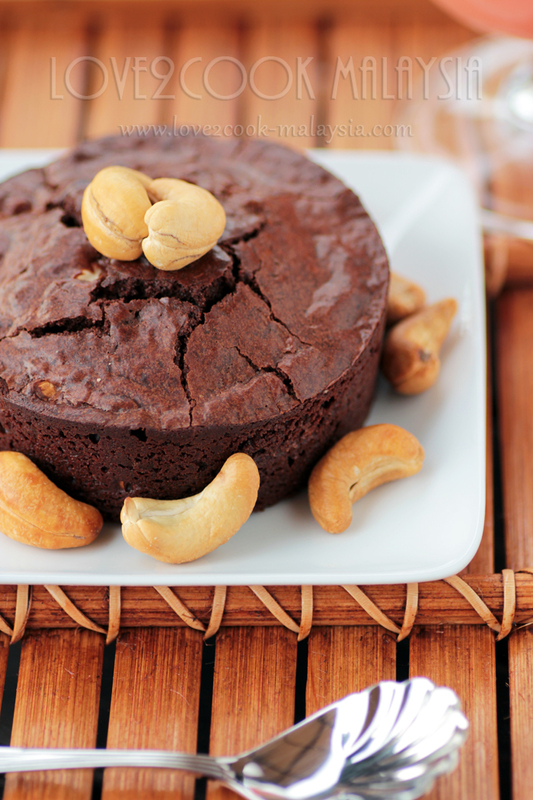 Awesome looking brownies and very beautiful clicks..
nutella Brownei looks so soft and yummy. These look beautiful and sound delicious.. the brownies look so fudgy! Eye catchy and irresistible brownies. 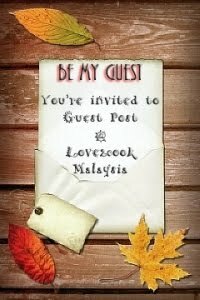 Lama tk BW kat sini.. how r u doing? well kalau rishie n ashika ckp sedap mmg sedap lah tuh! Hi Love cayangggg....ada brownie...nampak cukup sedap...retak2 kat surface tu...alahaiiii bestnyaaaa...Akak x rajin sekarang ni...mintak hantar sekotak la Love....hehee.. Wow..I am drooling here..looks yummy. 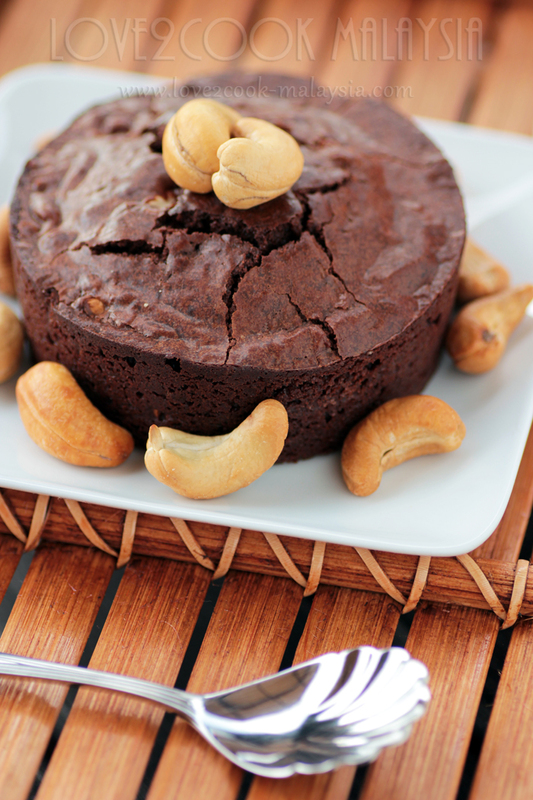 delicious it sounds with cashew nuts...i think this is one of the nuts that i often forgotten when it comes to baking! thanks for the idea! Wah, round brownies pulak ye Love. Kalau your adorable kids dah ask for more, sure sedap nih! Delicious brownies.. Loved the idea of baking them in ramekins..